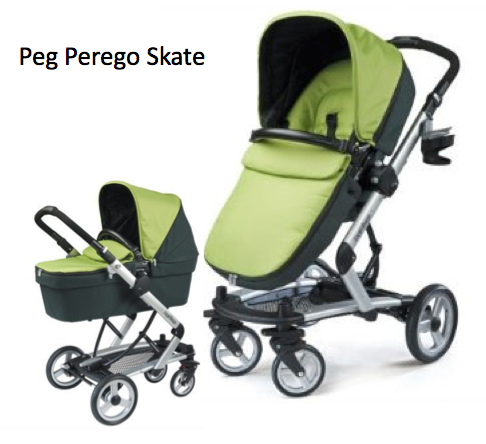 We are torn between the UppaBaby Vista and the Peg Perego Skate. 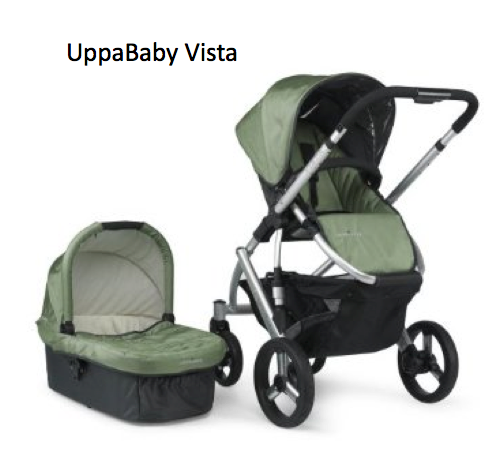 Color: Both come in green, though we may consider all black if we go with the UppaBaby. I am not sue I like that "shade" of green. I love the color of the Peg Perego. Functionality: Same handlebars, similar wheels, both are reversible and have bassinet features, and bassinet stands. 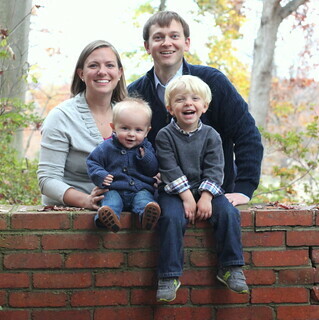 Additional Features: Both have add-ons for jumper seats for the second child. UppaBaby also has a step/stool for pushing three! children around. Reviews: Both have great reviews from mommies and for their safety features. If you have any experience with either of these, please fill me in! i clearly have no experience with either, but .... I actually prefer the color of the uppababy one ... maybe it's just my screen? also, i dont think you are crazy for spending that much on a stroller, i have enough friends that have gotten cheaper strollers, only to have them break and then end up spending even more on a second stroller. isn't it time for more bump pictures??? also, is it september 30th yet? i'm waiting very patiently ... can't you tell?!?!?! I don't have that particular model, but my Peg Perego (Aria) has held up very well with over three years of use. I like that color too. The only other thing I can think is watch Albeebaby.com and Amazon and maybe you could get one on sale? i hear more about uppababy in my chulamama days than i do about peg perego - so maybe uppababy for that reason... also, depending on what car seat you get, not all strollers have universal car seat adapters.. it might be specifically chicco or maxi cosi... so that could be the deciding factor?? how about weight and ease of folding? maybe that can decide it for you! can you tell i work with strollers all day?! You will want one which will fold easily and open simply simply because you will be moving that stroller in and out of the vehicle or storing it in a closet, etc. The last thing you want to be doing is fighting with a stroller each and every time you have to use it or put it away.